Let me make this clear: I am in no way suggesting I am the cure for the Cable Guy. The only cure for the Cable Guy is you. 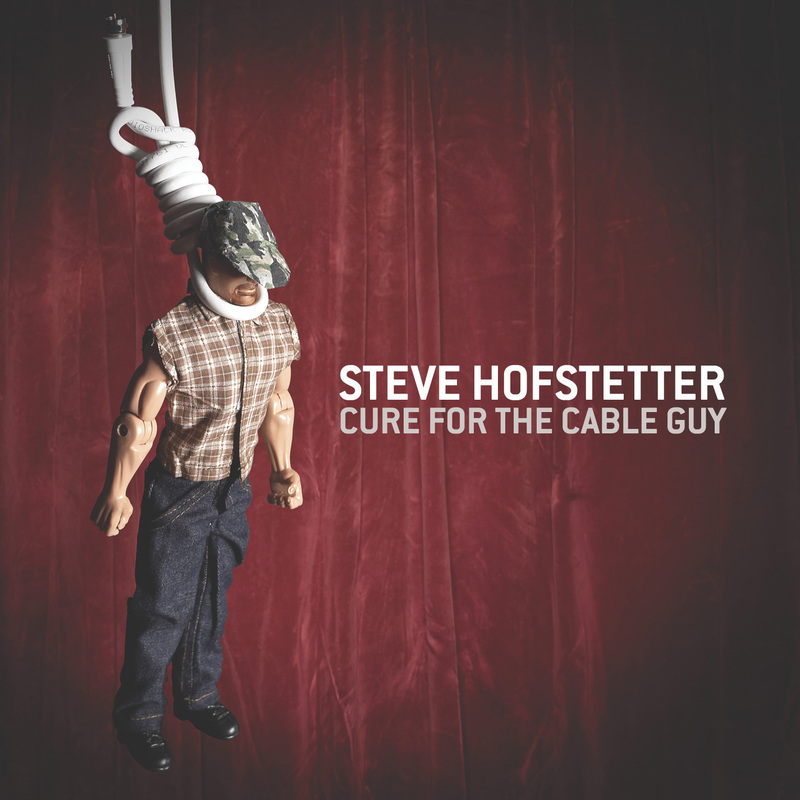 The title of this album is a reference to Larry the Cable guy, a character played by comedian Dan Whitney. I've never met Whitney, never seen him live, and everything I have heard says he's a very kind, bright, clever guy who is neither racist nor homophobic. His past characters even include an old Jewish woman and a gay man. The problem is that Whitney saw money in Larry  a xenophobic hate-monger with blind faith in the government. The irony is that Larry the Cable Guy was engineered as a way to make fun of people like him. But somehow Larry transformed from satire into validation. Larry's punch lines encourage health problems, a lack of education, and racism. He fuels the current "don't think, just listen" culture and he does it for a quick buck. Yes, there are thousands of comedians doing the same thing, but I'm going after the queen. If Whitney believes what Larry is saying, he is preaching hate and fear. If Whitney doesn't agree with his alter ego, he is irresponsible and bastardizing an honest art form. Bill Hicks once said, "the comic is the guy that says 'wait a minute' as the consensus forms." And Larry the Cable Guy is building that consensus. Who am I to judge? I'm someone who believes that artists have a responsibility to educate while entertaining; we have a stage and we ought to use it for something. Hicks, Carlin, Pryorall the greats made us laugh while dealing with real issues. They told the truth and didn't rely on catch phrases. Lenny Bruce didn't go to jail so someone could buy a wife-beater that says "Git-R-Done!" Though the irony in that product is hilarious. And who are you to read this? You're either smart enough to get the joke, or self-righteous enough to get offended. If you're the latter, you just gave someone you dislike nineteen dollars. You may not be laughing at me, but I am certainly laughing at you. If you're the former, thank you. Let the healing begin.